Yet another painting displayed in the exhibition on the theme "Mother and Child". 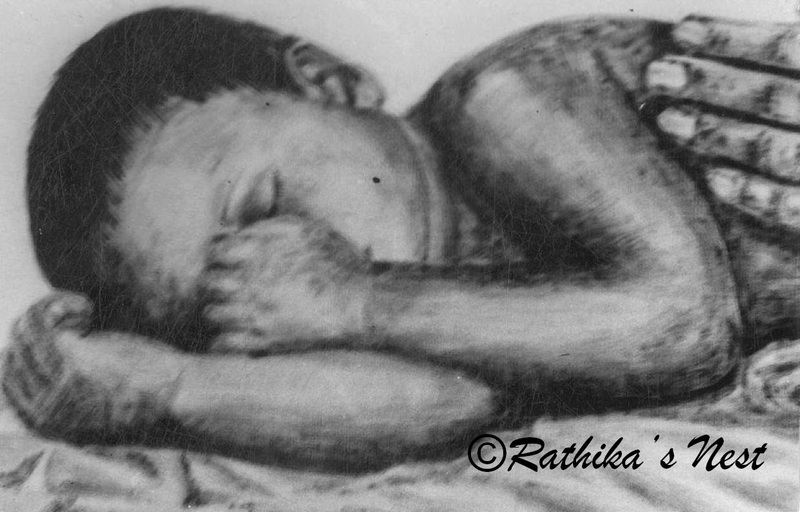 Executed with Indian ink on textured paper using dry brush technique, this painting depicts a peacefully sleeping child and the mother's hand patting his back. I like this painting for the simplicity of the composition and its natural beauty.